The Ruth Bancroft Garden in Walnut Creek is an amazing place, full of succulents and drought-tolerant plants from around the world. 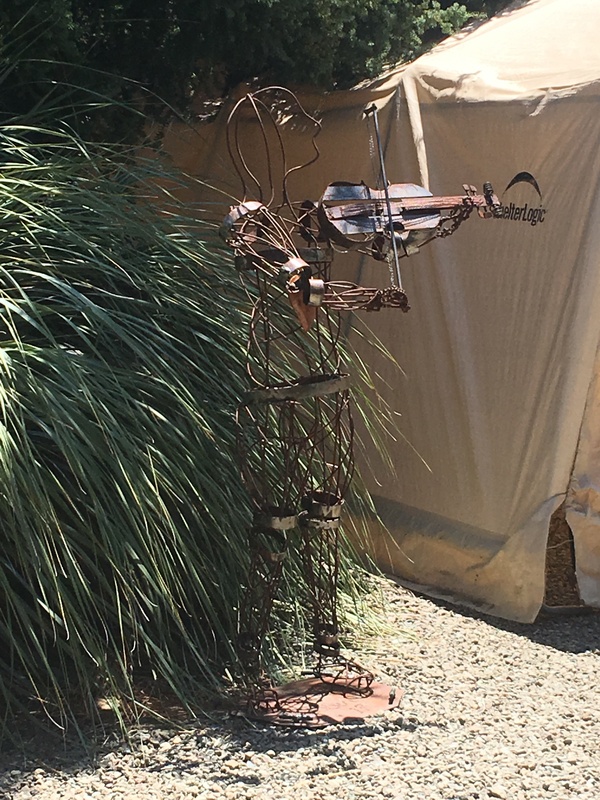 It’s 3.5 acres of beauty–and starting June 17th through August 19th, the garden is filled with art and sculptures of many different Bay Area artists–including us! All of the art and sculptures are for sale as part of a fundraiser for this non-profit. 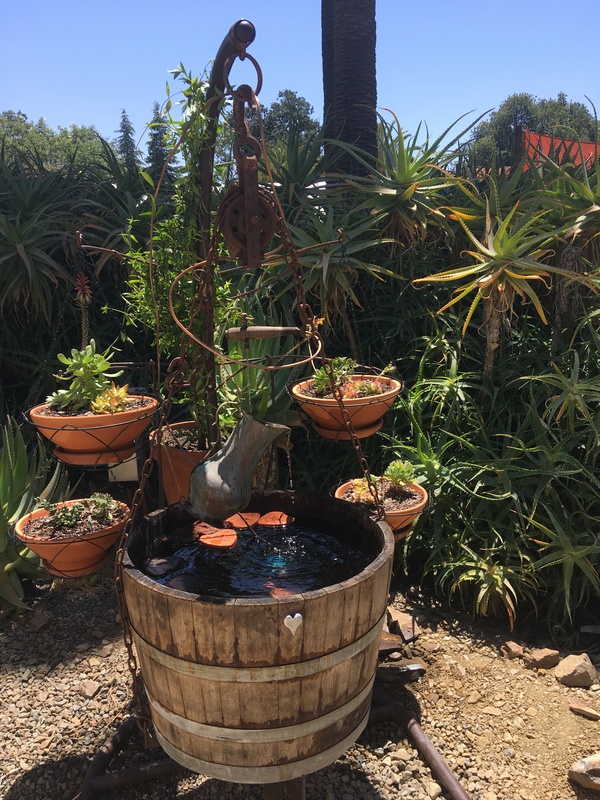 We installed the Silver Heart Fountain and replanted the pots with succulents from the nursery at the Ruth Bancroft Garden. 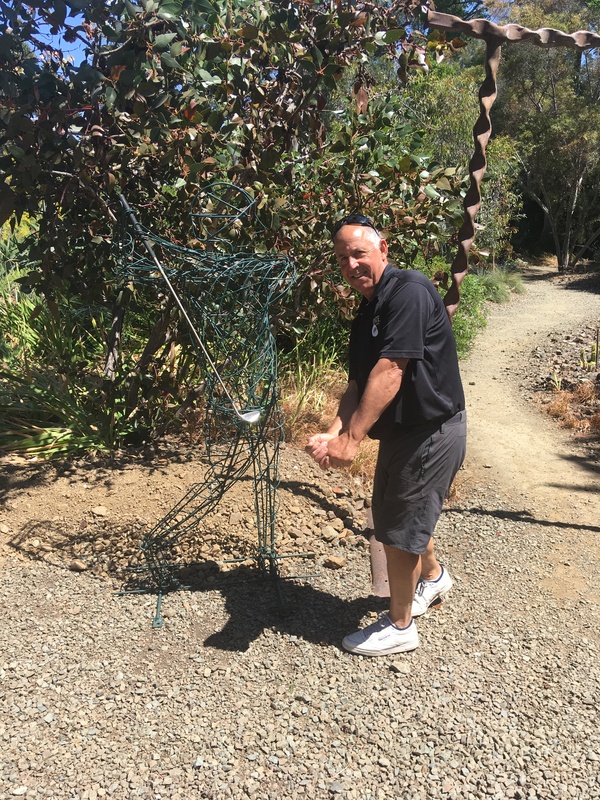 We also installed The Golfer and The Fiddler. We hope you will go visit the garden. It’s a fantastic resource and a beautiful place with very friendly and knowledgeable people.